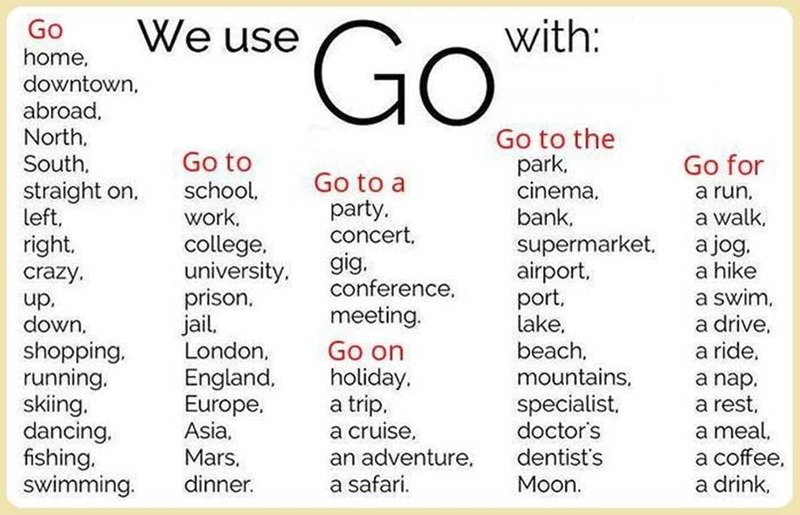 In the English language, collocation refers to a natural combination of words that are closely affiliated with each other… Below is the list of common collocations with GO in English. 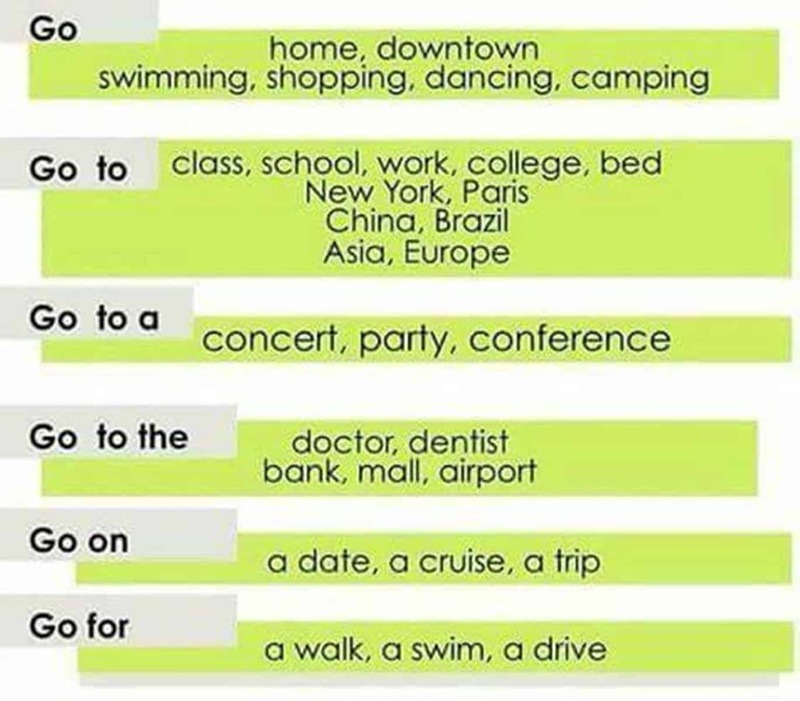 I think we should go abroad on holiday this year. John will go astray if he becomes friends with Bad Jack. it’s one of the most precious posts and the good compliments for the non-native learners, obviously. so I have to follow up the page by e-mail.